RUSSELL, Gary. Beautiful Chaos. London: BBC Books, 2008. My first experience with a Doctor Who novel wasn’t all that encouraging so as to make me scream for more. However, the second Doctor classical TV series haven’t proved to be less dull than the previous seasons. Being a book lover it was a matter of time that I gave the prose Doctor another chance. On the other side, it wasn’t Ninth but Tenth. Let’s face it, Christopher Eccleston was a great Doctor, but David Tennant’s was far more entertaining; playful, not grumpy. And who could have been a better choice as a companion from the reboot series than—no, not Rose—Dona? I love their dynamic interaction. And so should you. This book was indeed better than Only human; partly because of the characters, but also because it doesn’t meddle with important facts of human history. 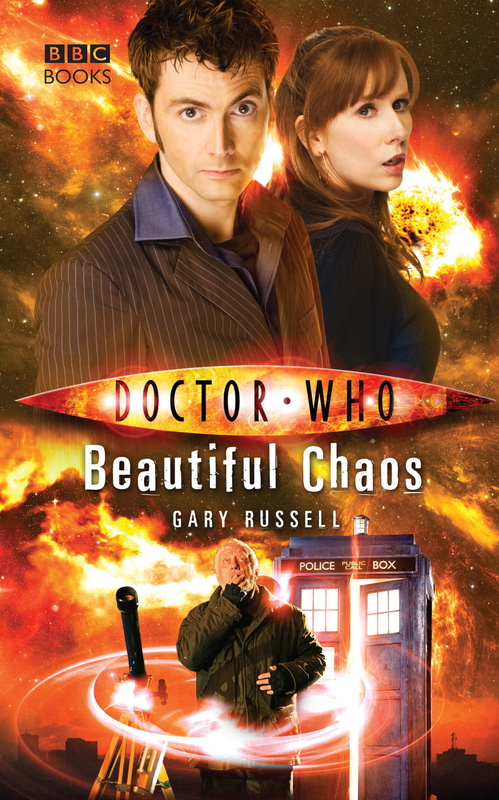 Beautiful Chaos’s story could take place at any point of humanity’s timeline and doesn’t set any huge historical milestone in a distant future. Perfectly both continuity- and canonproofed. I may try another tenth Doctor novel and see where I go from there.